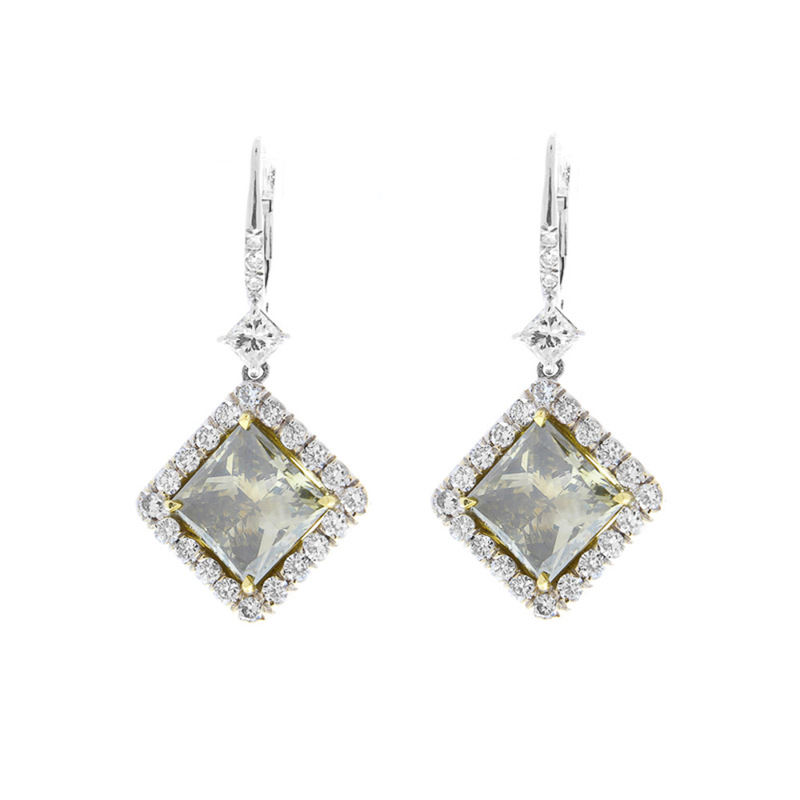 These alluring dangle earrings feature 8.03 total carats of fancy light to fancy brown-greenish yellow, natural color. Perfectly cut to match princess cuts, and then GIA certified. These natural colored diamonds are set in a frame of 1.60 carats of princess and brilliant cut diamonds. Delicately hung, with motion in mind, in 18k white & yellow gold, the earrings are a unique statement.